"This album is me - it's what I'm all about," says the 84-year-old cultural icon. "I'm honored that the Grammy voters recognized my work. Of the hundreds of albums I've recorded, I count this as one of the best." 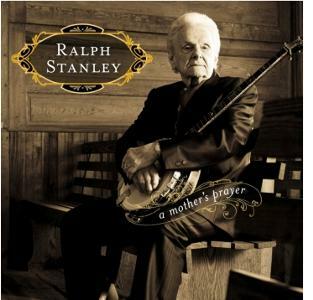 Coordinated by Rebel Records' Mark Freeman and produced by Ralph Stanley II (a Grammy-winner himself), A Mother's Prayer was spotlighted earlier this year when the International Bluegrass Music Assn. awarded music scholar Colin Escott the Best Liner Notes prize for his documentation of the album. In 2002, Stanley earned two Grammys, one for his participation in the multiplatinum Album of the Year, O Brother, Where Art Thou?, and the other for Best Male Country Vocal Performance. The latter achievement saw him triumph over fellow contenders Tim McGraw, Willie Nelson, Johnny Cash, Lyle Lovett and Ryan Adams. A year later, Stanley won his third Grammy, this one for Best Bluegrass Album for his collaboration with Jim Lauderdale on Lost In The Lonesome Pines. In addition to his many other honors, the revered vocal stylist was the 2006 recipient of the National Medal of Arts, presented by the National Endowment for the Arts and President George W. Bush. In 2008, the Virginia General Assembly gave him its Outstanding Virginian Award. Stanley's autobiography, Man Of Constant Sorrow: My Life And Times, won the 2010 Print Media Award from the International Bluegrass Music Assn. This year, Stanley celebrated his 40th year as a recording artist for Rebel Records. Grammy winners will be announced during a CBS-TV special Feb. 12.